You spend days at work in the studio, cranking out track after track with your trusty MIDI controller. On a whim, you decide you're tired of using it, so you wad it up into a ball, throw it away, and draw a new one. Wait, what? Yeah, SketchSynth will someday make this a reality. 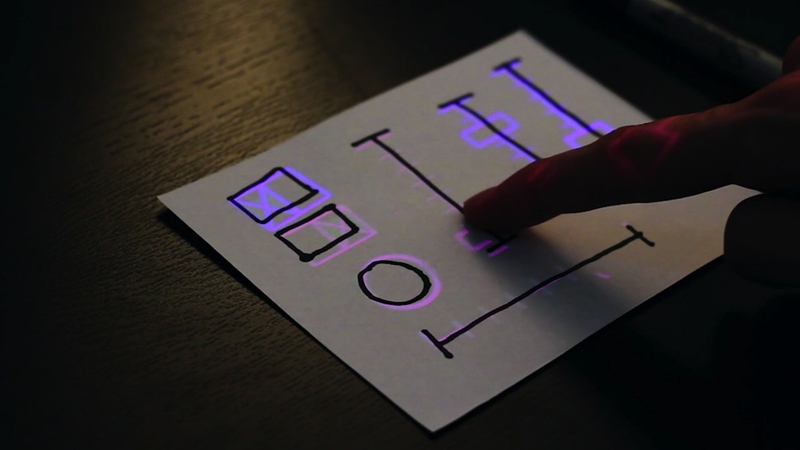 Created by Carnegie Mellon student Billy Keyes, Co.Design says that SketchSynth uses a webcam to detect shapes, and a projector to generate the interactive elements. In its current form you an create buttons, toggles and sliders by drawing circles, rectangles and lines, respectively.